Complete confidence. Behind the knee. 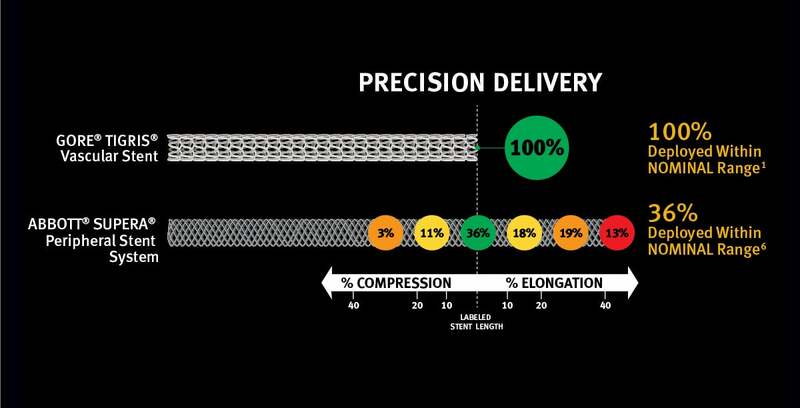 The GORE® TIGRIS® Vascular Stent delivers the ideal combination for high-flexion performance in the proximal popliteal. 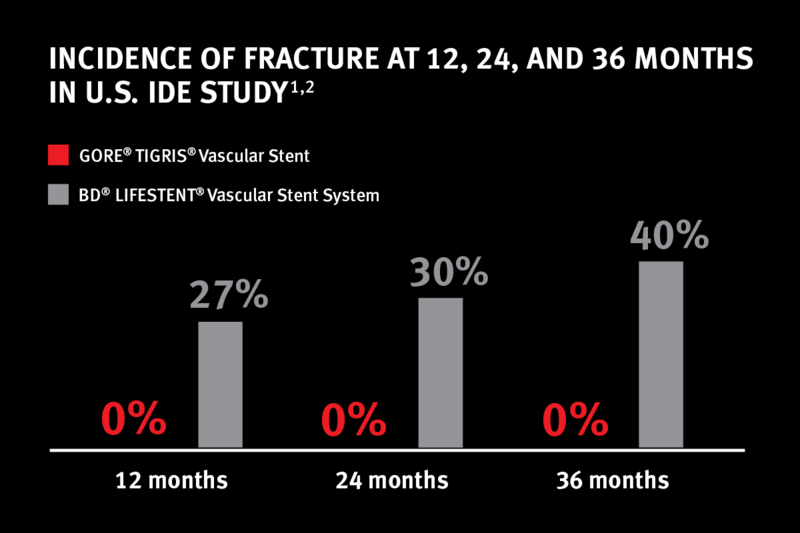 With its advanced materials and design, and precision deployment system, the GORE® TIGRIS® Vascular Stent provides fracture resistance that we stand behind with a refund for demonstrable frame fractures. * Stent frame fractures are a known risk for any vascular stent and can be caused by a wide range of factors including patient anatomy, pathology, and other clinical aspects. 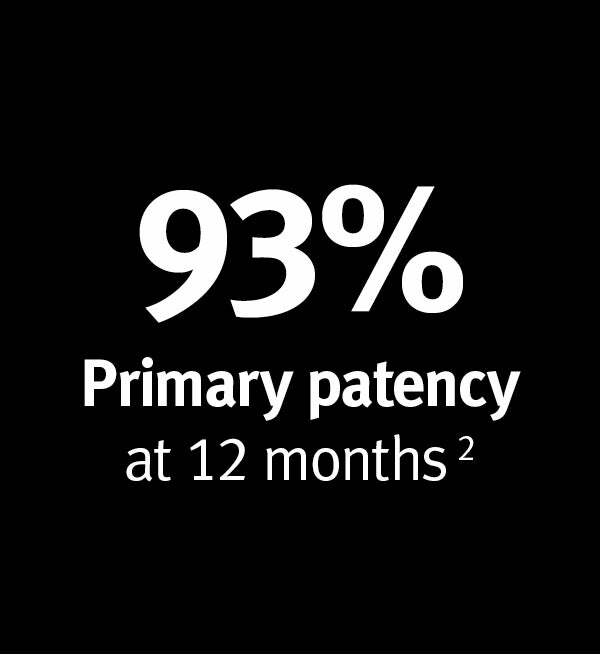 We are so confident our stent design can stand up to these challenges that we want to pass certainty to you with our fracture-free assurance program. * Subject to the terms and conditions. 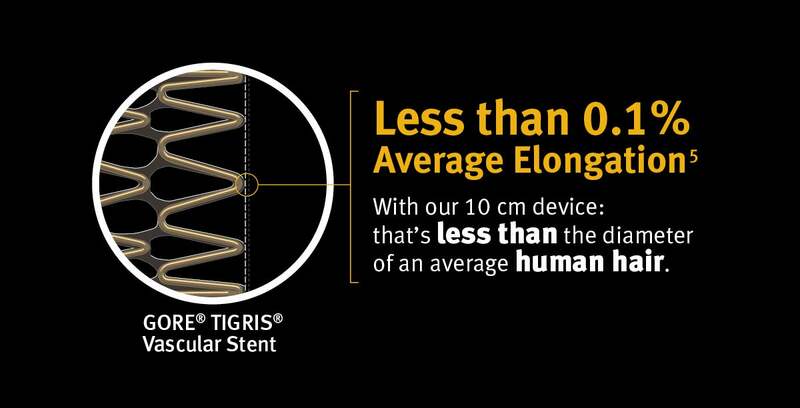 GORE® TIGRIS® Vascular Stent: Advanced technology engineered for lasting performance. Giving you the confidence that you are delivering the most durable treatment options to your patients. * CBAS Heparin Surface. W. L. Gore & Associates web site. https://www.goremedical.com/cbas/references. Accessed July 30, 2018. ABBOTT® and SUPERA® are trademarks of Abbott Laboratories. BD® and LIFESTENT® are trademarks of Becton, Dickinson, and Company. COOK®, ZILVER®, and PTX® are trademarks of Cook Medical Inc.
U.S. Food and Drug Administration. Center for Devices and Radiological Health. FDA Summary of Safety and Effectiveness Data. P160004. http://www.accessdata.fda.gov/cdrh_docs/pdf16/P160004B.pdf. Published July 27, 2016. Accessed August 10, 2016. 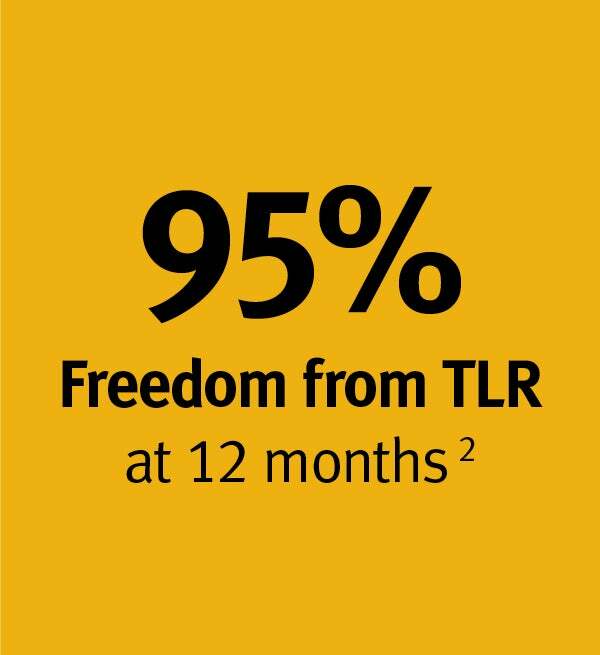 Werner M. The Tigris dual component stent (from Gore): advantages and 1-year results in treating SFA-pop occlusive lesions: from the Austrian Registry. Presented at the 45th Annual Symposium on Vascular and Endovascular Issues, Techniques, Horizons (VEITHsymposium); November 13-17, 2018; New York, NY. Hoopingarner E. TIGRIS / Viabahn Stent Competitor Testing. Part 2. Flagstaff, AZ: W. L. Gore & Associates, Inc; 2014. [Work plan]. WP106734. Summary]. Flagstaff, AZ: W. L. Gore & Associates, Inc; 2017. MD165299. 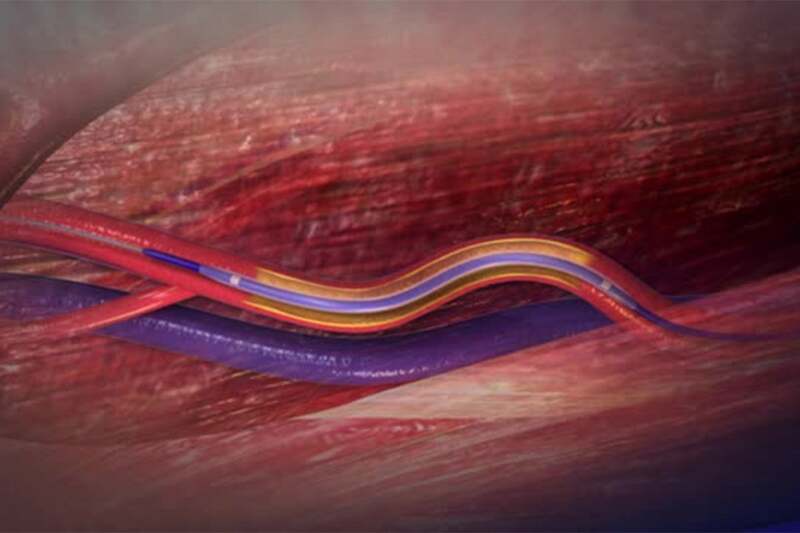 Supera® Peripheral Stent System [Instructions for Use]. 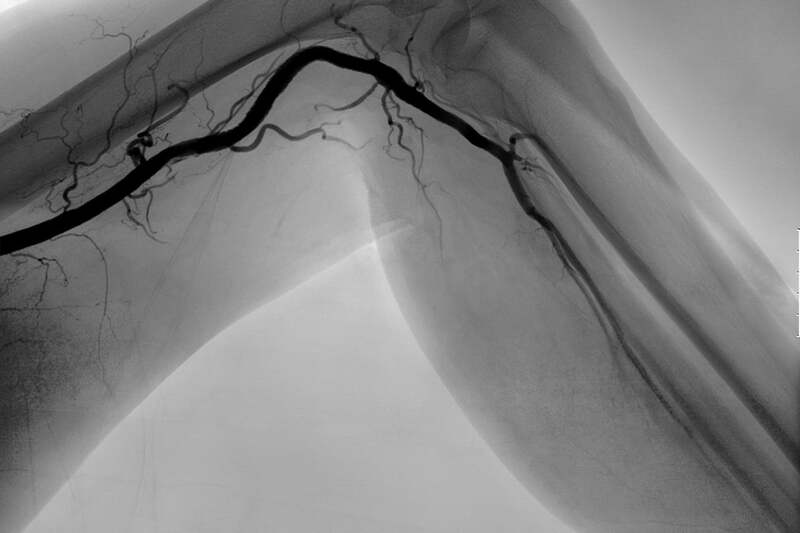 Santa Clara, CA: Abbott Vascular; 2016. EL2100430. 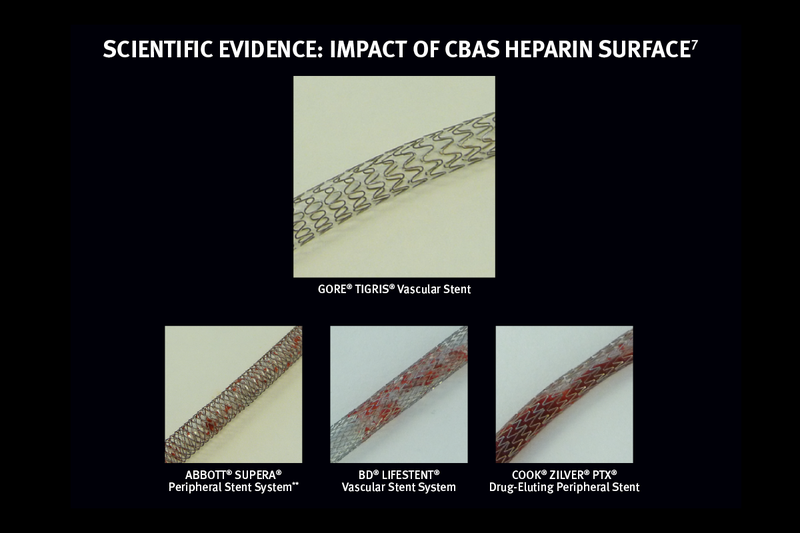 Biran R. Thromboresistance Evaluation of the GORE® TIGRIS Vascular Stent and Commercial Competitor Stents in an In Vitro Blood Contact Model. Flagstaff, AZ: W. L. Gore & Associates, Inc; 2012. [Work plan]. WP 103833.